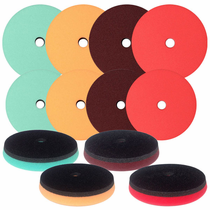 Buff and Shine Low Pro-Foam Grip Pads™ have been engineered to run smooth on long throw orbital polishers. They were manufactured with the highest quality material in order to withstand the abuse, heat and stress that is created from the movement of the long throw polishers. 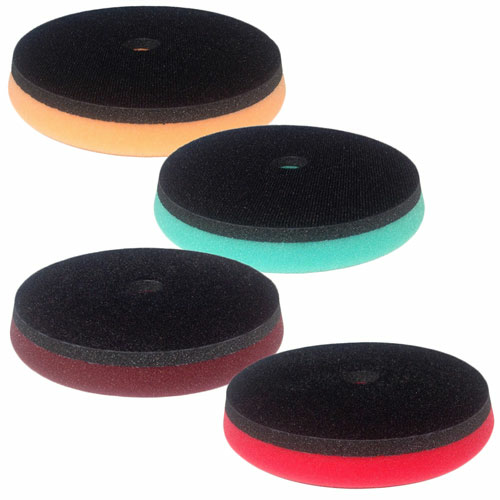 The Buff and Shine Low Pro-Foam Grip Pads have a unique rubberized interface is heat activated and will get softer as it heats up to conform to the flat or curved surface you are working on. The center hole design acts as a “chimney’ to disperse unwanted excess heat.